This gate is made up of the following woods; Cypress, Afromosia, Honduran Mahogany, Philippine Mahogany, and Mangaris. It represents fluidity with it”s curves, symbolic bubble holes, and Mangaris wood shaped as a water drop and inlayed into the Cypress wood. 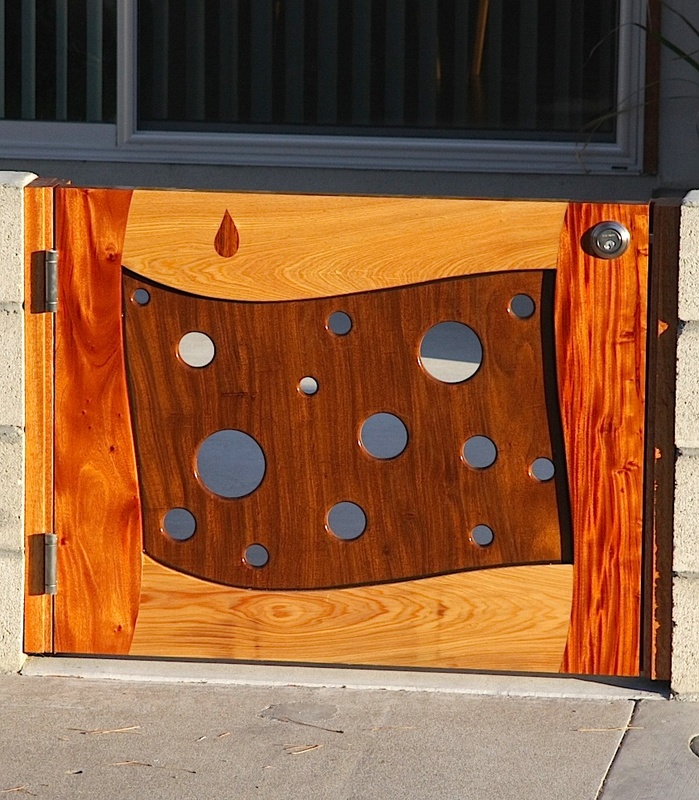 We offer gates made of all types of woods from domestic to exotic woods in order to suit your design ideas. Feel free to create your own unique design as well as have us work with you on your design. Be sure to visit the “Gate Gallery” to see many more options.